Learn About Electric Bike Place, Powered by MACkite. Electric Bike Place, Powered by MACkite. A family-run business, focused on fun, serving you for over 36 years. Welcome to Electric Bike Place, an ebike store that focuses on fun, quality, and honesty. We would be honored in assisting you in finding the best electric bicycle for you. Not only do we have knowledgeable staff, we also try every bicycle that is in our shop so we can give you honest reviews without all the fluff. Powered by MACkite, a company that has been in business for over 30 years, we're dedicated to providing the best service possible all while maintaining the values we've gathered over the years. momentum in the kite industry yet still found himself in need of some extra cash in the winter. Needing to eat year-round, in 1991 Bob (Steve's brother) and Steve moved their new shop to a space in Grand Haven's downtown and added classic toys such as wooden trains, yo-yos, and other hands-on, educational toys, puzzles, and games. In 1997 they moved the store a few doors down into its own building, making it not only one of the world's oldest kite shops, but one of the largest as well. In early 2000s, Steve further expanded into kitesurfing, stand up paddleboards (SUP), and surf apparel. Always being the one to try new things, he was later able to grow kiteboarding and SUP into a profitable business which led to MACkite Boardsports and the opening of a second location on the east side of Grand Haven. Kiteboarding seemed to be growing in popularity, and MACkite Boardsports quickly gained the ranks as one of the most visited online kiteboarding retailers (in fact, MACkite Boardsports became AWSI's Retailer of the Year for 2016). As the industry expanded, so did the need for additional showroom and warehouse space. In 2015, Steve decided it was to expand the showroom and warehouse. 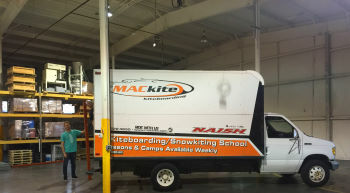 So, MACkite Boardsports moved a few miles away from their previous location, to a much larger showroom and warehouse. 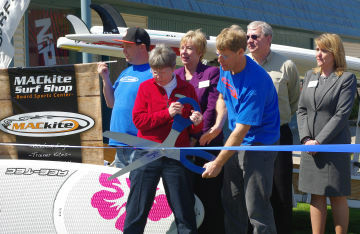 As kiteboarding and SUP began to expand, Steve also saw the expansion of the electric transportation industry. Always a fan of innovations, and with the support of the shop crew, Steve introduced the first few electric skateboards and electric bicycles into the shop. With Yuneec's E-Go, the Boosted e-skate line, and ProdecoTech's electric bikes, the crew was able to test, play, and provide valuable insight into the future of e-transportation. 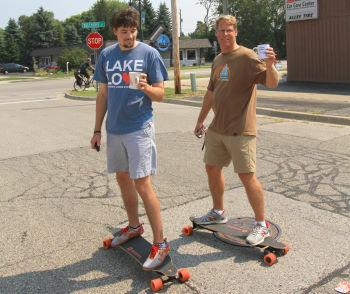 Once MACkite Boardsports expanded into its new location, the expansion of e-bike and e-skate also seemed to be a no-brainer. About a year after MACkite's expansion, Electric Bike Place was created. Electric Bike Place focuses on providing a fun, unique experience for our visitors both online and in-store. Our crew is full of people who want to take the next step - those who constantly ride our equipment, provide feedback, and look for new ways to improve in the future. It seems that Electric Bike Place and MACkite are always expanding and changing, which always serves the purpose of providing the best experience and most valuable content for our customers. Since the beginning, MACkite's slogan has been, "Where FUN begins!" That mantra still reigns for our staff and our culture, and we wish nothing more than to give you the best experience possible. One of the major characteristics of MACkite is that it is always expanding and innovating. 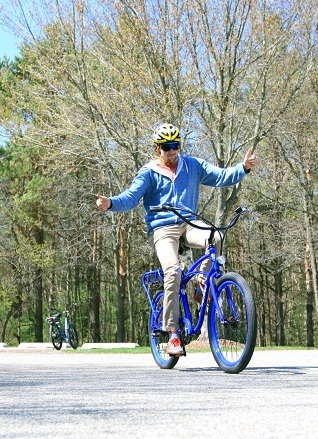 Currently, visitors are able to experience a multiple-terrain test track as well as bicycle classes, rentals, and corporate electric bike rentals. Where will the future of electric transportation head? Only time will tell, but Electric Bike Place will be there along the way. MACkite was founded on the philosophy of "Where Fun Begins". This was our original tag line from the mid 80's. The Electric Bike Place is a complete and wonderful extension of that idea. As a serious visionary of fun things for the last 36 years, the moment I rode an electric bike I knew they were magic. I love my family and friends and humanity in general. I also love our planet and am pretty sure we only have one currently available. Electric transportation is the future of our health and well being. MACkite wants to help transform the world to a fully sustainable future where our kids and grand kids have the same beautiful planet that we have. Join us in the fun and help make our planet a better place for future generations.